Well the first month of the New Year is already behind us!! Did you have good intentions to start the New Year off right with some kind of health goal? Did you get a little side tracked? It’s ok – today is a new day and you can get back on it. If taking better care of your health is on your list, I would love to help you meet your goals with one of my amazing facial treatments. There are treatments for acne, hyperpigmentation, antiaging, or simply because you want to relax. 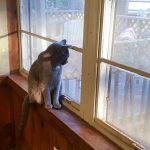 Smokey and I are getting settled in the new house. The floors have just been refinished so we are finally starting to move in for real this weekend. There is a lot to do but we are making progress. Missing the Tribe of 5 – it is so quiet without them. I miss those kitties. They are being looked after by another person in the apartment complex and by the person that subleased my apartment. According to my friend they are very spoiled and come running. As soon as they saw my car or heard me they came running! Of course I have 2 kitties that play in my new yard – a black one and a black one with white paws. Not sure who they belong to yet but guess who will be getting fixed! WINNER!! 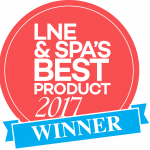 Celluma Awarded Best Light Therapy 3 Years Running by Les Nouvelles Esthetiques & Spa readers!. Celluma LED Light Panel has 3 settings and can be used to help acne, anti-aging and infrared for healing. Tag teaming Celluma facial light with acupuncture from Amber. This is another option available at Raspberry Moon for a limited time. Now we have an option to add on a Celluma Light Therapy Hand Treatment! I am excited to now have a new freestanding Celluma Light and I also now have the mini version to use on your hands to help with wrinkles and age spots. Celluma Light is also wonderful to help facilitate the healing process. Celluma Light Therapy Session – Cleanse, Exfoliation, Celluma LED Therapy followed by peptides and massage of hands and feet. Now through March 31st, book a Celluma Face Treatment and add the Celluma Hand Treatment for just $20! Raspberries and white chocolate come together to delight your senses during this month of love. Raspberries are known to be anti-inflammatory, and while you neither see nor smell the peach, pumpkin, and hibiscus they are in the background softening and exfoliating the skin in a gentle and mild manner. Cocoa is moisturizing to the skin; squalane is a major component of skin lipids and helps to restore compromised or dehydrated skin and prevents trans-epidermal water loss. This facial is safe for pregnancy. 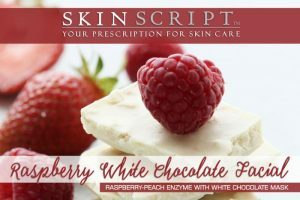 Raspberry Peach Enzyme: The Raspberry Peach Enzyme is packed with antioxidants for an anti-aging facial for all skin types. It contains only fruit enzymes, with no acids added, and it can be used on anyone, including pregnant women and those with sensitive skin. The raspberry soothes skin irritations and provides anti-inflammatory-like benefits. Peach softens the skin and is aromatically relaxing, and hibiscus flower and pumpkin add the exfoliating properties to this enzyme. White Chocolate Nourishing Mask: Glycerin, squalane and cocoa are excellent emollients to keep the skin soft and healthy. Borago Seed Oil and allantoin soothe and calm the skin. 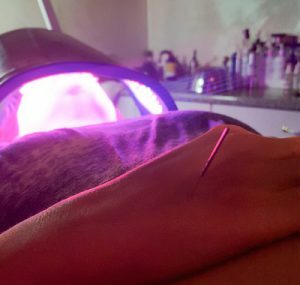 This treatment is available for a limited time so be sure to schedule yours today by booking online at www.RaspberryMoonST.com, via email at RaspberryMoonST@gmail.com, and now call/text at 864.271.2710. Yes we have changed services and fingers crossed (we all know how electronics hate me) you can also text me. So if any of your information has changed be sure we get it updated so you get your reminders. That being said, if you no show or cancel at the last minute, I will have to beat you and charge you for your missed appointment. Don’t make me be mean! Love you! 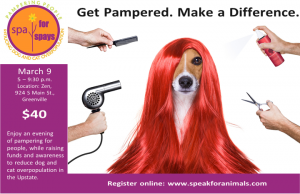 Spa service appointments sell out fast! Purchase your tickets online today to be sure to get yours and get first pick of services.